I never really wanted to be a Formula One driver or MotoGP racer, not really. Maybe a little bit. But as soon as I learned of the Dakar rally I wanted to take part. Ten thousand kilometres from Paris to Senegal, traversing the Sahara, with hundreds of trucks, cars, and motorbikes competing against each other and the terrain. It was just about the maddest thing imaginable. And I nearly did take part. Only my lack of ability and experience, lack of vehicle, lack of support team, sponsorship, and finance got in the way. With this in mind, I didn’t need much persuasion to accept an invitation to a press day at the Mick Extance Experience. Extance is the UK’s most successful Dakar competitor, having entered the world’s toughest motorsport challenge seven times and (more impressively) completed five times. He’s done both the original Europe/Africa route, and the more recent South American rally (the race relocated in 2009 due to security issues in Africa). 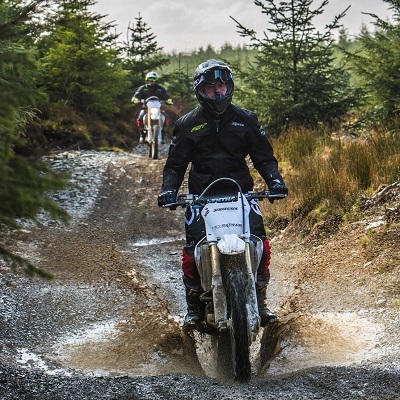 He runs his off road motorbike school in 600 hectares of private forest above Llangynog in mid-Wales, on the edge of the Snowdonia National Park. Here riders of all abilities, from complete beginners to experienced racers, are trained in the sometimes-delicate, sometimes-brutal skills of off road motorcycling. It’s quite a set-up, with a secret lair high up in the Berwyn Mountains and a fleet of brand new Honda and Kawasaki enduro machines. 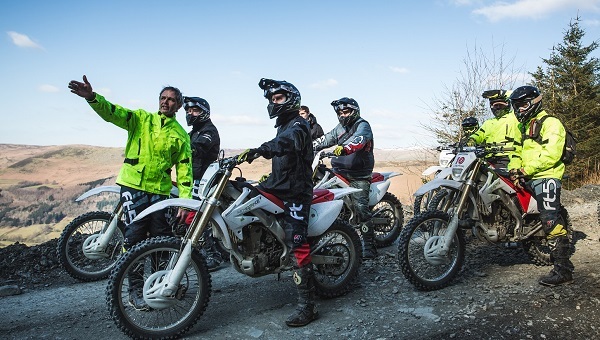 All the gear is provided, from motocross boots to helmet, and participants are given a breakfast briefing and lunch along with detailed on-the-ground instruction. I’ve spent countless hours riding motorcycles, but not many without asphalt under the tyres. Over the course of the day our party of seven riders were put through a series of increasingly difficult sections, including steep forest paths riddled with tree roots, fast gravel trails, and deep quagmires of mud and water. The day culminated in a final pair of challenges involving the ascent of a loose stony hillside that felt like a cliff face, and the descent of a deeply rutted dark wooded slope that made up part of a championship enduro course. If you’re not falling off, you’re not trying hard enough. I’m happy to report that I had no falls until those last two sections, and managed to bin it comprehensively on both. On the rocky climb, the secret is to keep the power on while carefully picking a line to the top. That sounds easy, but my front wheel got deflected by a large protruding rock and bike took itself over to the left. 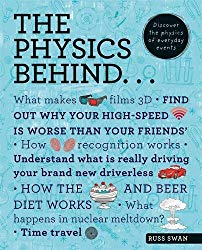 I kept the gas on and tried to steer by moving my weight to the right, but by then the Honda was already spinning out from under me and it seemed a sensible option to let go. Gravity took over and we cartwheeled a few metres down the hill before I could pick myself up and clamber over to hit the kill switch. Mick was there almost instantly, grinning widely. “The best part is”, he said, “you get to do it again”. Going down is harder than going up, and the final descent really made me happy when it was over. I’d been relying on the rear brake for downhill control, but learned that this is a classic beginner’s mistake. When going downhill, the rear wheel is unloaded and so locks easily, leaving the rider with no control. The front is loaded and difficult to lock, even in the slippery stuff, and front braking is the only effective way to control speed. But I was still pulsing the brake, causing me to pogo rather than make smooth progress. Before long the steepness, slipperiness, and tangledness overwhelmed my meagre abilities, and again I lost the machine. It was less spectacular than the first off; I ended up squashed against a tree with 100kg of hot motorbike pinning my leg and, to my embarrassment, I couldn’t get out from underneath. Again Mick appeared to offer encouragement and help. It was only when I failed to stand up that I realised just how steep this descent was. But I got to the bottom, which felt like quite an achievement. I could now do some things with a motorbike that I couldn’t do a few hours earlier, and in learning to do so I’d enjoyed stunning Welsh mountain scenery, met some interesting and characterful people, and exercised muscles that rarely get used. I’d be reminded of this the next day, and the day after. Now all I need for my Dakar entry is the right motorcycle, support team, sponsorship, and finance. I also still need a lot more ability and experience, but I like to think I’ve made a little progress on those.